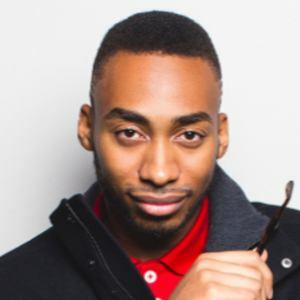 Born Richard Williams, he is a rapper, spoken word artist, and YouTuber with a passion for activism and social and political commentary. He has released mixtapes titled The Adolescence, The Mic in the Shoebox, The Compilation, and The Rejects. His YouTube channel has more than 3.6 million subscribers. He received an anthropology degree from the University of Missouri-St. Louis and graduated with Latin honors. He won the 2008 Vibe Verses Contest hosted by Vibe Magazine. He was featured by Discover Magazine in 2010. Upset with the music industry, he formed a movement called The "Make 'SMART' Cool" movement, SMART standing for "Sophisticating Minds And Revolutionizing Thought." He has two older siblings and remained in St. Louis, Missouri for his entire upbringing. Traphik, Immortal Technique, and others are supporters of his "Make 'SMART' Cool" movement.